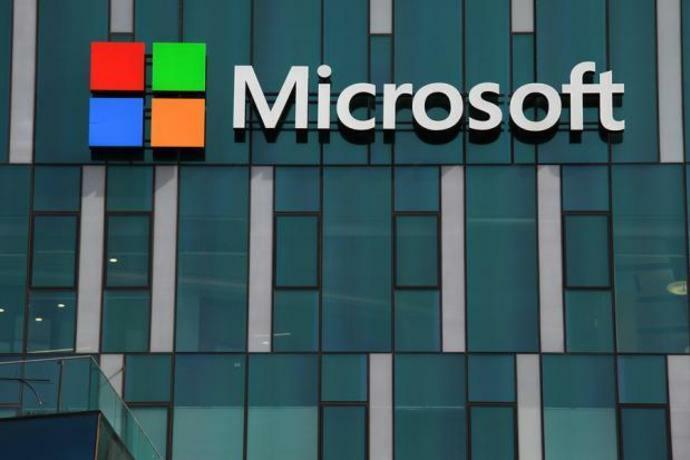 Microsoft's (MSFT) first-quarter fiscal 2019 results are likely to be driven by Azure's strength, robust Office 365 adoption and impressive LinkedIn growth. Microsoft Corp MSFT is set to report first-quarter fiscal 2019 results on Oct 24. Notably, Microsoft has a positive record of earnings surprises in the trailing four quarters, with an average surprise of 11.42%. Last quarter, the company delivered a positive earnings surprise of 5.61%. Microsoft has also beaten the Zacks Consensus Estimate for revenues in the past four quarters. In the last quarter, revenues of $30.09 billion increased 17.5% from the year-ago quarter (up 13% in constant currency) and exceeded the Zacks Consensus Estimate of $29.21 billion. The Zacks Consensus Estimate for first-quarter fiscal 2019 earnings and revenues is currently pegged at 96 cents and $27.72 billion, respectively. 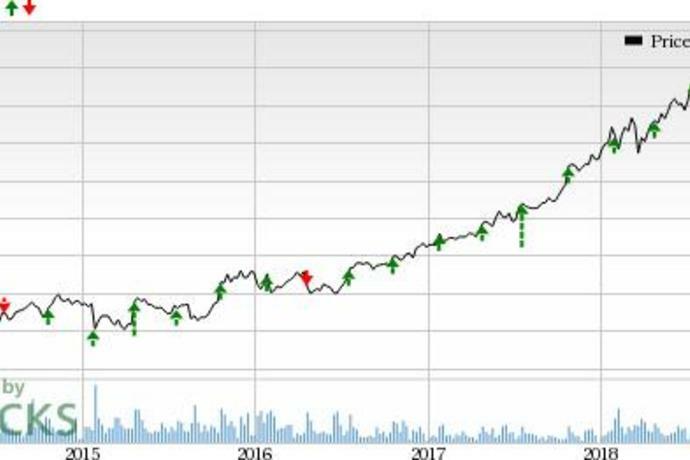 Momentum in Microsoft's cloud computing service - Azure - is likely to drive growth in the to-be-reported quarter. Azure revenues soared 85% at constant currency on a year-over-year basis in the last reported quarter. Customer base continued to expand with Walmart selecting the cloud platform. Notably, Azure has become a preferred partner for government departments in recent times. The cloud platform has been selected by the likes of Alaska Department of Transportation, Duo+ based out of the Netherlands, and South African government unit Department of Science and Technology, to name a few. Azure's increased availability in 54 regions globally, more than any other cloud provider, is helping it compete against the likes of Amazon AMZN and Alphabet GOOGL. Notably, per latest data from Synergy Research Group, Azure's market share trail only Amazon Web Services (AWS). For the first quarter, Microsoft expects Intelligent Cloud revenues (Azure falls under this segment) between $8.15 billion and $8.35 billion. Office 365 is a subscription plan to access Office applications and other productivity services utilized in cloud services. Microsoft is striving to catch up with Alphabet's G-Suite by empowering Office 365. Expanding portfolio is the major growth driver. The company is incorporating artificial intelligence (AI) capabilities in its Office 365 solutions, which are expected to boost adoption rate. LinkedIn is also growing faster than previously anticipated. Microsoft has a Zacks Rank #2 and an Earnings ESP of +0.79%, which indicates a likely positive surprise. You can uncover the best stocks to buy or sell before they're reported with our Earnings ESP Filter. Apple AAPL has an Earnings ESP of +2.45% and a Zacks Rank #2. You can see the complete list of today's Zacks #1 Rank stocks here. "Many women simply aren't cut out for the corporate rat race, so to speak, and that's not because of 'the patriarchy,'" a Microsoft employee wrote.